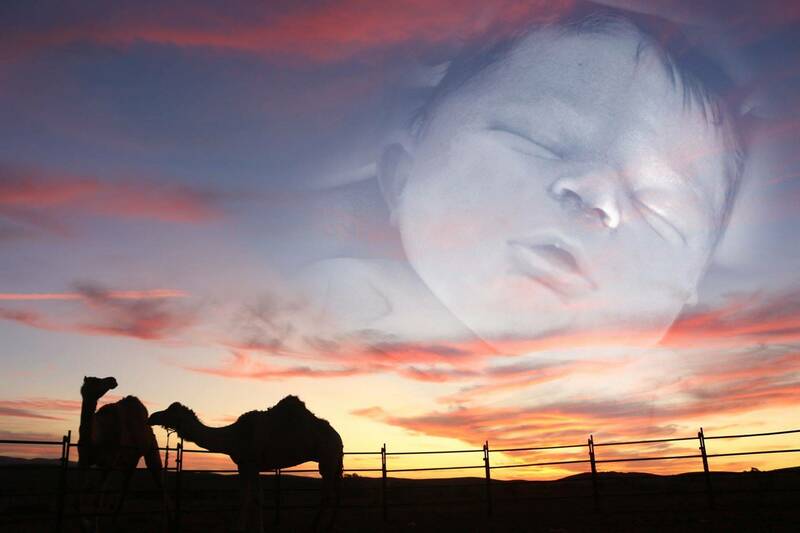 "An angel in the book of life wrote down our baby's birth. Then whispered as she closed the book "too beautiful for earth". "A life so brief a child so small, you have the power to touch us all"
My name is Tara Lea, I come from a rural town in East Gippsland, Victoria, Australia. 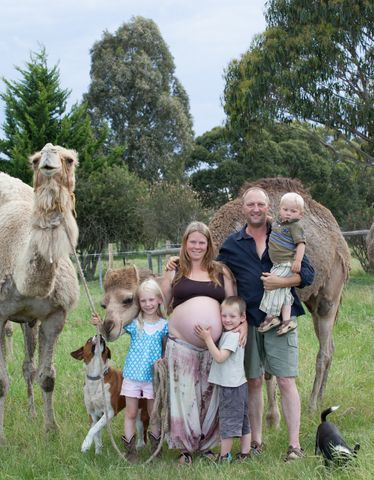 Russell (my life partner) and I built a 'camel business' over the past 4 years and live on a small camel farm in Nicholson. We're self employed and include our other 3 (living) children in our family business and the unique lifestyle of growing up with camels. Never could we have planned for Noah's death or thought that a child we wanted to welcome into our family and watch grow wouldn't eventuate. It's something all parents refuse to think about. "How would I cope" and our answer usually is "not at all", but the human mind and body is an amazing thing and having goals (such as this trek) and meaning behind death and why it happens has been a huge healing part in my journey (which began on 19th December 2015, on Noah's passing day). Our son, Noah, experienced a traumatic birth. He suffer shoulder dystocia which is a 'freak event' when the shoulders get lodged on the pelvis, my pelvis bone, and the baby get stuck. The 'freak' part of this kind of birth is that there is no sure way of telling it could happen to 'you'. And when it's happening it's a complete medical emergency. Some cases are less serious than others, in our Noah's case it was fatal. Oxygen was starved to him as he was lodged in my pelvis. Having birthed three babies naturally and without any complications or pain relief in the past the thought of birth killing my baby never ever crossed my mind. I knew that this was what women were designed to do! I was part of a completely different world before Noah came to us. Quite an ignorant world to say the least. Yeah I knew babies die in all sorts of different circumstances, but that would never happen to ME! It did. My baby did die. Noah lived for four days on life support. He couldn't function any organ in his body on his own. His brain didn't have enough cells left to communicate with his organs. He was fighting the machines and medications that were keeping him alive. As his parents we had to listen to what he was trying to tell us.When babies are newborns it's essential to read their needs and desires. Hungry, breast feed, squirmy, need a nanny change, crying, need to be held. Simple yet demanding things they are,but I never thought I would be reading and listing to my baby asking us if we can pass him on. Turn off his support so he can go back to where he came from. Leave us behind, his longing parents that wanted to see him play with our three other children and learn from them. My 7yo daughter who desperately wanted to mother him and specifically said she couldn't wait to see him crawl. All this dreams and plans gone. To only realise that we [as humans] only ever live in hope, because there is a life force much bigger than us that has its own plans. As parents we had to make the hardest yet easiest decision of our life: to let our baby boy go beyond the human existence and be out of pain and suffering (the easy decision). How can there be such contrast of such a decision!? We wanted him in our life. We made way in our already busy life for him. My body was ready for him with leaking milk from the beasts. I had fat stores for me to feed off with all the energy expended of caring for a newborn. All this preparation, gone out the window. Day four of Noah's life, we let him go. We had a beautiful passing ceremony for him with just us- mum and dad - outside in a courtyard with nature. We let him go. Noah was happy to go. We were happy that he was happy. After Noah passed away I wrapped him up on my in a baby wearing wrap that I had planned to carry him in as a newborn. It was heaven! Complete heaven having my baby so close to me. My body craves it. My soul craved it. Noah spent a few hours on me, in his wrap. It was quite surreal having a deceased body on me. Something I thought I would never experience. I kiss him lots, smelt his hair, that beautiful newborn smell of your own flesh and blood. We went to our beautiful private room with bright coloured curtains with butterfly's on it and the cuddle cot was there. My first instinct is to keep Noah warm, but the opposite was going to give us more time with him. We placed him in his cot. He look adorable. Just beatific, pure and with a relaxed happy face. I stood over the cot and admired his beautiful body. We choose not to cloth him. We wanted him just as he came. We spent many hours with him. Admiring him from the cot, placing him between us on the bed as we would have at home. We tried replicating all the things we 'would have done' with him at home in our short hours with him, our one night. The following morning we decided to go home. We lived four hours from the hospital which we were at. Naturally we didn't want to had our baby to a stranger and see him at the local funeral parlour in our country home town. So we took him home. We drive him home. Actually he never came home. We had to take him direct to the funeral home to be placed in the morgue. The days were hot in December so we knew the home idea wasn't s good option. We didn't feel comfortable to place Noah in the fridge. So we parted ways until we came a few days later to prepared his body for cremation and give our last kisses and cuddles. It was heartbreaking not to bring him home. We wished we could have. We wished the Noah's siblings got to cuddle him, kiss him... Just hold him and tell him how much they love him. But we didn't have that option. There are no cuddle cots in our area. The death of a baby isn't talked about much. 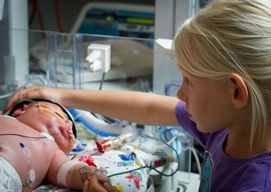 There's no awareness that 6 babies in Australia die each day. It is not culturally accepted to grieve in a way that feels right to an individual. But, death is part of life. And as traumatic and heart breaking it can be it still needs to be acknowledged. It needs to be honoured, the entire process fro letting someone go onto another world to taking the necessary time to grieve. It's essential to life. It's essential to those that have passed on. We're grateful of the short time we got to have with Noah, but in all honesty it would have been truly healing and special to our whole family to have brought him home with a cuddle cot.